Having spent a good proportion of my recent Patch time rummaging around the hedgerows of the Wirral Way looking for warblers to photograph I have got used to some of the other wildlife that shares the hawthorns with our summer migrants. 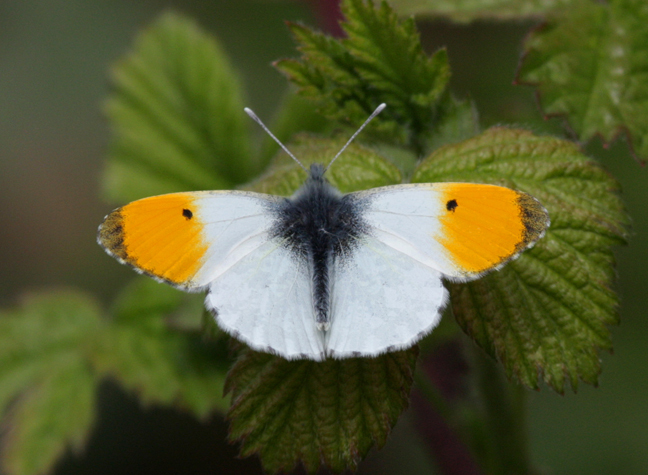 On nearly all my trips out I have seen Orange Tip butterflies. They are probably my favourite butterfly, just pipping the Small Copper to the top spot. So naturally I grabbed a few pictures of them as I was hunting warblers. Eventually this developed into a full blown project of it's own. 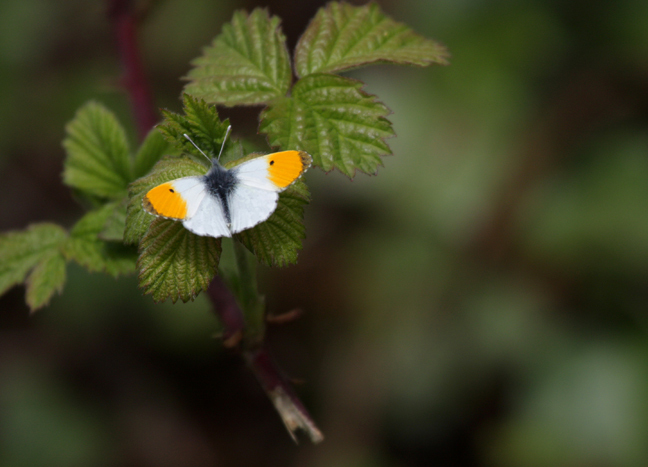 Over the past few weeks as the buds burst and green shoots emerged I have charted the life of the Orange Tips of the Wirral Way. The males are stunning. Pure white wings dipped in brilliant orange at the tips, a slim body of dusted charcoal and an underwing of 70's style garish patterned wallpaper. A majestic insect. The first glimpse of one heralds the start of spring for Dee Birder. They have a special relationship with another of my favourite signs of spring. 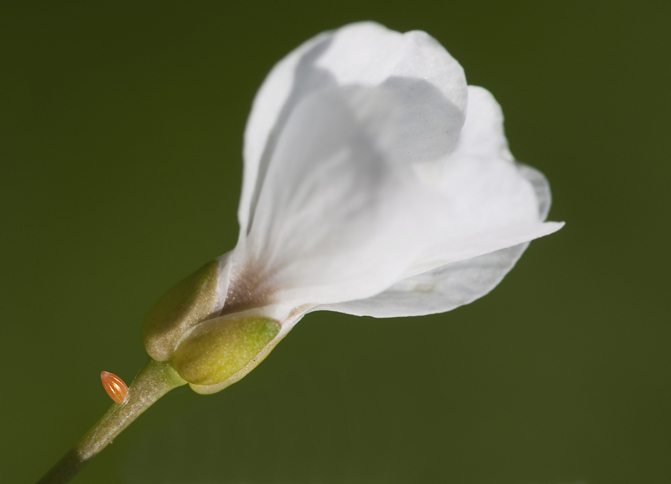 The Cuckoo Flower. 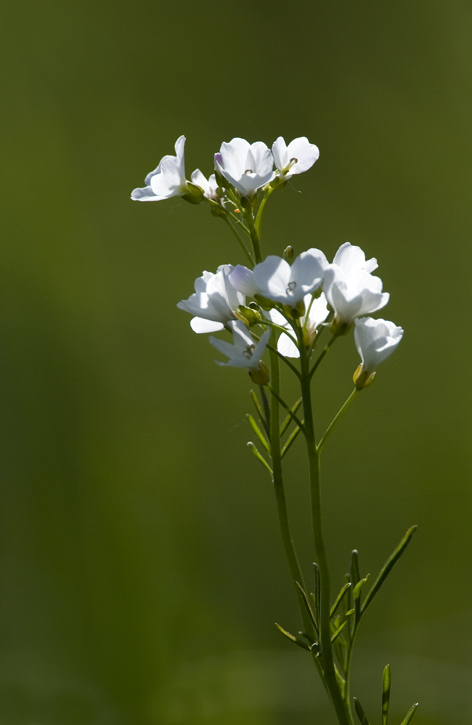 Found in damp places in meadows and close to ponds it has flowers that go from white to a pinky lilac. A short walk along the Wirral Way and I locate a patch, growing next to the seasonal pond on Dawpool Nature Reserve. First off I enjoy the flowers themselves before gettting down on hands and knees to begin a search for something special. The flowers are drops of beauty. 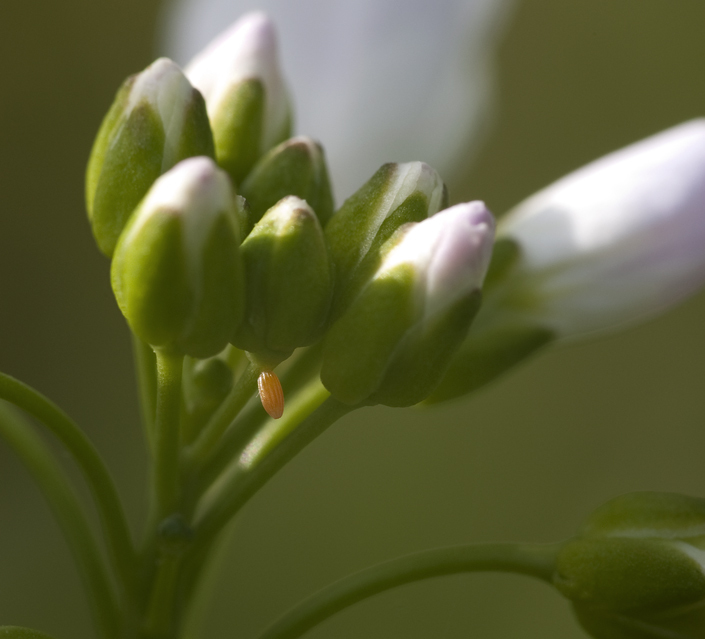 However the Orange Tip has a connection with these flowers that goes deeper than my idle admiration on a warm and sunny afternoon stroll. 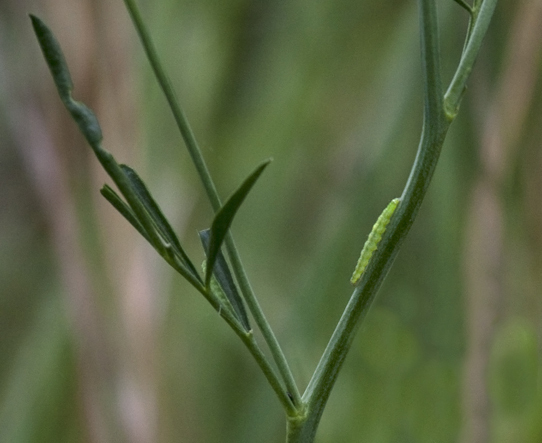 The female lays it's eggs on the stems of this plant and the caterpillars gorge on the succulent leaves before retreating to the base of the stem to pupate. There are plenty. It has been a warm dry spring, perfect for the butterflies. 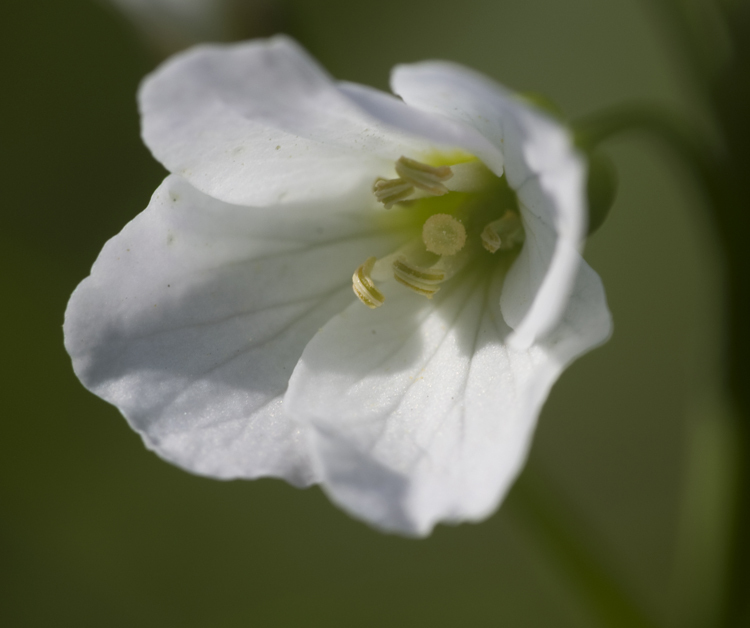 The deeper rooting Cuckoo Flower has been able to tap the water from lower in the soil so it has not suffered so much as the shallower rooted grasses. There are 12 eggs in this little patch. Macro kit is deployed. Tripods, extension tubes, wind breaks and reflectors are all unpacked to aid the recording of the eggs. 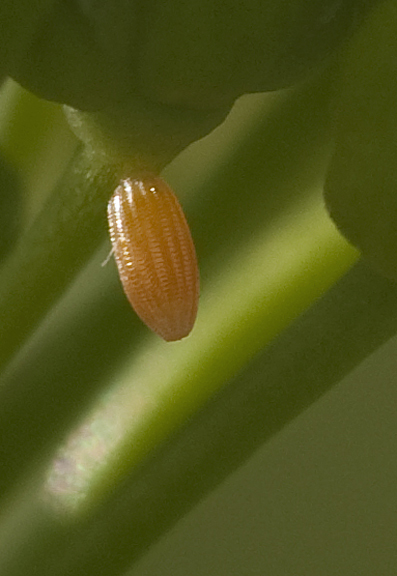 Orange Tip eggs are one of the easiest butterfly eggs to spot being bright orange but I am still pretty chuffed to have located so many. 22 million pixels are brought to bear on a handily placed egg and it is photographed. We are so close that the grooves and ridges on the eggshell appear in the viewfinder from the smooth appearance that you get with the naked eye. A tiny ornament on the stem of a wild flower that itself decorates the countryside. The location of the patch of flowers is easily remembered so I vow to return in a few days to see if any of the clutch of eggs have hatched and I can capture some images of the hungry caterpillars. Eventually I find a hatchling. 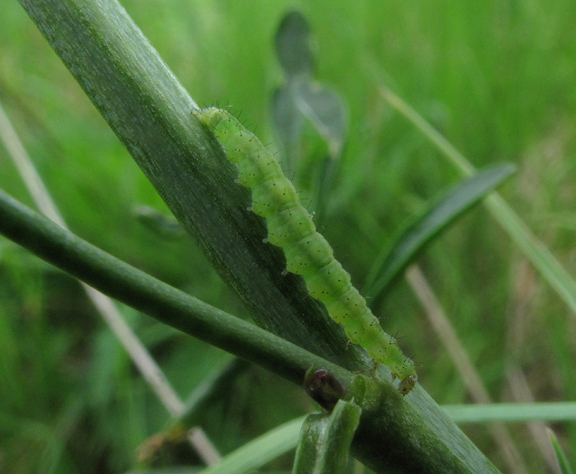 It is a fresh one, all green and very young, no distinguishing feature developed yet, but I am chuffed to find one. They are much harder to find than the eggs. Now I have one in my sights I can get up close and personal to record this individual. Like the eggs the caterpillars are quite easy to photograph. It would be more than a little embarrassing to be out run and out foxed by a caterpillar! I get my pictures and leave then to their lunch. Back on the Wirral Way there are still males on the wing. They are a devil to keep up with, constantly moving, rarely settling, then drifting back the way they came. If you were to graph my movements you would find that I have walked miles by the time I have got all the pictures for this post, but have not gone far from my origin.